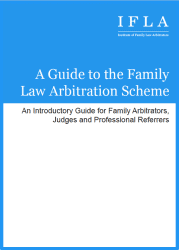 I sit as a Deputy High Court Judge in the Family Division (since 2011) and as a Family Recorder (since 2007), dealing with disputes involving all aspects of Family Law, up to High Court level. I see disputes over assets ranging from a few hundreds of thousands of pounds up to many millions. I have been offering Private Financial Dispute Resolution Hearings through 1 Hare Court (where I am Head of Chambers) for the last two years. In my practice at the Bar I specialise in Higher Value Financial Claims, very often involving a significant international aspect, with the disputes often being jurisdictional as well as financial. 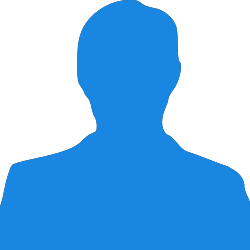 Recent cases have involved issues with and connections to Russia, Saudi Arabia, Egypt, India, the United States and Greece. I have also received regular instruction in the Grand Court of the Cayman Islands over the past ten years, both in financial cases and in cases involving the international relocation of children. I am the current Chair of the Family Law Bar Association (between January 2012 and December 2013), in which elected role I have been liaising closely between the Judiciary and the Family Bar, to facilitate the currently in train reorganization of the Family Courts in this jurisdiction. 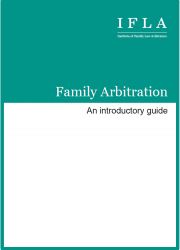 I have been qualified to conduct Family Arbitration since June 2013.